Make sure your pet is warm; jackets are a good idea for small and short-haired dogs. Pets should be groomed regularly through the winter to remove dead hair and dirt, and to fluff up the coat. When your pet comes inside, remove mud, snow, ice and salt from their feet and coat. Rock salt, used to melt ice on sidewalks, may irritate footpads. Be sure to rinse and dry your dog's feet after a walk. Consider purchasing dog booties for your pet's feet. If your dog spends a lengthy amount of time outside, you may need to increase their calorie intake. Please check with your vet. Dogs and cats can get frostbite too – if skin is reddish, white or greyish and somewhat scaly this could indicate frost bite. Seek veterinary attention. Do not leave pets for an extended period in vehicles; in the cold, vehicles can become like refrigerators. Pets left outdoors must be provided with a shelter, located off the ground and out of direct wind. If conditions are severe, bring your pet inside. Be considerate of old or arthritic dogs when they are outside; they can easily slip and will feel the cold quicker. Cats and kittens will seek warmth in car engines. Please check prior to starting your vehicle in the winter. Antifreeze is deadly to cats and dogs in the smallest amount. Ensure antifreeze is stored properly and clean any drips. 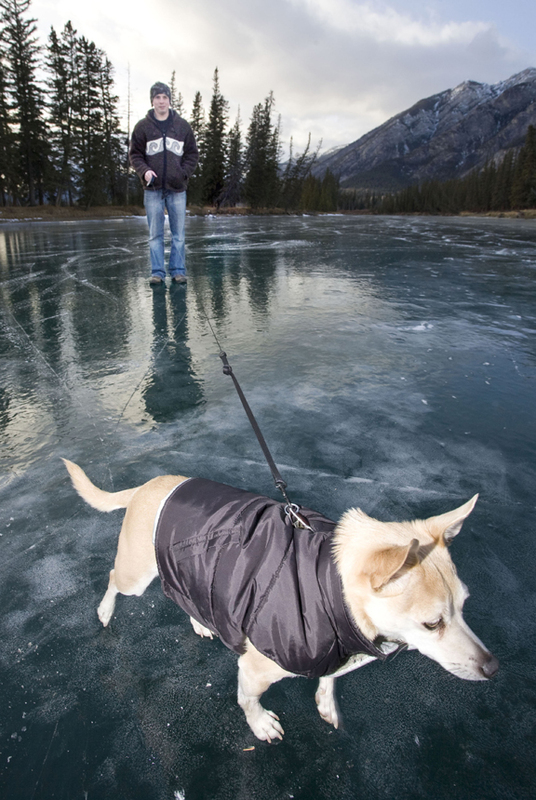 Any time the temperature dips below freezing, pet owners should monitor their walks. Even if the dog has a thick coat, noses, toes, tails and ears are exposed and can get frostbite. A good rule of thumb is to keep walks to a 15 minute maximum in cold weather. Please ensure that indoor pets are safely away from indoor heat sources, such as fireplaces or electric heaters. Keep your pets away from poisonous plants, such as mistletoe, poinsettias and holly. Ensure your pet has a warm, dry, draft-free place. At all times your pet should have access to fresh water. Remove ice from outdoor water bowls when required.